The horse world has its own language. Here are definitions of words you may hear when talking about horses that start with H.
Definition: Either a slow pleasurable trail ride, or a horse used for leisurely rides. A more archaic use of hack is as a horse rented out for riding. Examples: It's lovely to go for a relaxing hack on cool summer mornings. OR She rode their hack on the trails. Definition: A four-inch measurement used to calculate the height of horse or pony at the top of the shoulder (withers). A hand is the approximate width of a man's hand. Examples: The little pony was only 11 hands high, whereas the huge draft horse was 17 hands high. Definition: Hand gallop is a four beat gait, with natural head carriage sometimes asked for in hunter hack classes or other equitation or pleasure horse classes. It's meant to demonstrate the strong forward, but controllable motion of the horse. Horses traveling between fences in a jumper class may also ​ at a hand gallop. Outside of the ring hunters following the hounds may travel at a hand gallop, and a four-inch gallop can be fun along the trail provided the footing is safe. Examples: The horses in the Arabian costume class entered the ring at a hand gallop. Definition: Configuration of straps that enables a horse to be attached to, and pull a load. There are many types of harness such as draft horse harness, light horse harness, racing harness, and harnesses for teams and formal turn outs. Examples: The workhorses leaned into the harness to pull the plow through the field. Definition: Straps that buckle around the horse or pony's head to facilitate tying and leading. You're more likely to see the word headstall in older books or books written in Britain. It's not common usage and you're more likely to 'halter' used. Examples: Before loading the horse onto the trailer, they put on a leather headstall. Definition: This is one of those words that may mean one thing to one person and another to someone else. In some areas when the horse's mane is shaved off it is said to be hogged. 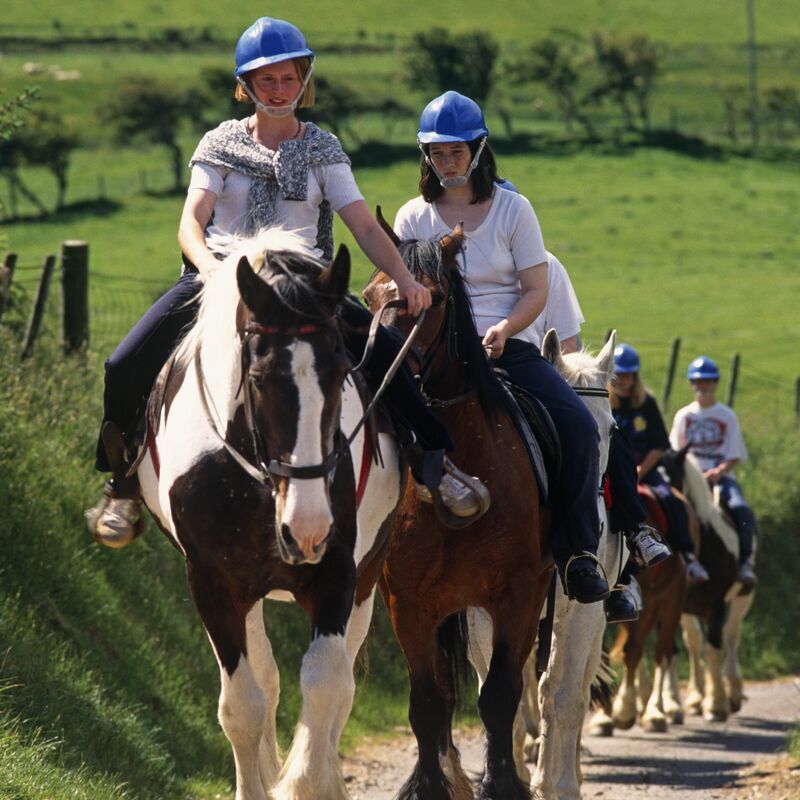 In some areas hogging is when a horse ducks its head down and forward, pulling the reins through the rider's hands. This is also called rooting, hog rooting or pig rooting in some places. A hogged mane may also be referred to as roached mane. Examples: Because the pony's mane was too thick to braid they decided to hog it for the show instead. Hogged or roached manes are common on polo ponies and some breeds like the Halflinger. Definition: A very energetic and forward moving horse. Hot horses may also be inclined to spook and shy at strange objects more readily than a quieter horse. Examples: Too much concentrate and too little exercise made the horse too hot for his rider to handle.